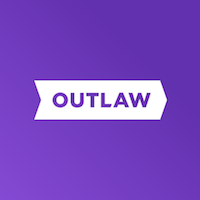 Outlaw is a modern contract management platform that streamlines the contract lifecycle for organizations – from templated document generation to cloud-based redlining to real-time negotiation and eSigning. Unlike other contract tools, Outlaw includes an advanced proprietary word processor which enables organizations to transform existing contracts into reusable templates that are error-free and seamlessly editable with dynamic legal logic built in. With transformative technology and a modern user interface, the platform helps users accelerate contract cycles, streamline negotiation, improve visibility and enhance workflow productivity. For more information, schedule a free demo at https://calendly.com/getoutlaw/demo or contact sales at +1 (833) 668-8529. Bid Rigging in a Competitive Market: What Should You Look For? Why Does Exorbitant Healthcare Spending Not Equal Good Health In the U.S.? Friday Rant: Goldfoil Hat Conspiracy — Or is “Someone” Stealthily Dumping Gold in the USA?